Will Watford become complacent? Jasmine Baba doesn't think so. "The Gunners' away form, the fact they're forced to play Shkodran Mustafi in defence with Sokratis' suspended and that the Hornets have won the last three games at home in a row, and you'd think, Watford have a good chance at getting a result." The biggest talking point, of course, is Watford's semi-final victory over Wolves. After being 2-0 down in the 79th minute, it looked like it was game over. Queue Gerard Deulofeo, who had come on 20 minutes into the second half, with a stunning goal to halve the deficit with ten minutes to go. Two substitutions from Wolves included taking off Reuben Neves and Jota for Ryan Bennett and Ivan Cavaleiro but this couldn't keep out the Hornets building momentum. Four minutes deep into injury time, it paid off. Leander Dendoncker, fouled talisman Troy Deeney in the area. Is there anyone better to convert a game-saving, game-changing last-minute penalty in that moment than their captain? The 30-year old converted the penalty to make it 2-2 taking the semi to extra-time but from a neutral's perspective, the game had already been won by Watford. Wolves taking Jota and Neves off, just killed off the team tactically, as well as conceding two goals so quickly when the game should have been already won. 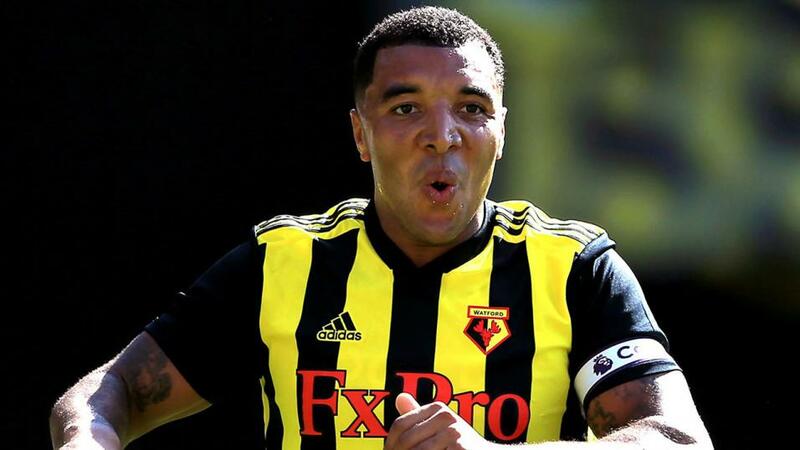 We didn't need to go to penalties, with Deulofeo once again finding the net, to put Watford through to a mouth-watering FA Cup final with Manchester City. Unfortunately, they lost Jose Holebas to a hamstring injury in that victory, and joins Domingos Quina and Tom Cleverley on the sidelines. Goalkeeper Ben Foster will make his way back into the squad for Heurelho Gomes. For all of Arsenal's improvements this season with new coach Unai Emery, one thing still remains; their away form is unsatisfactory with the Gooners, only winning five of their away games this season (D4-L6) and of those wins, only one has come from a team above 16th place in the table (1-2 at Bournemouth). They've also yet to register a clean sheet on their travels. Their last league game, at Goodison Park, highlighted their lethargic pace and energy and they were lucky to come out of the match with a 1-0 defeat. However, there were a few rotations made in the squad to accommodate Lucas Torreira's suspension, Aaron Ramsey's knock and Granit Xhaka's injury. 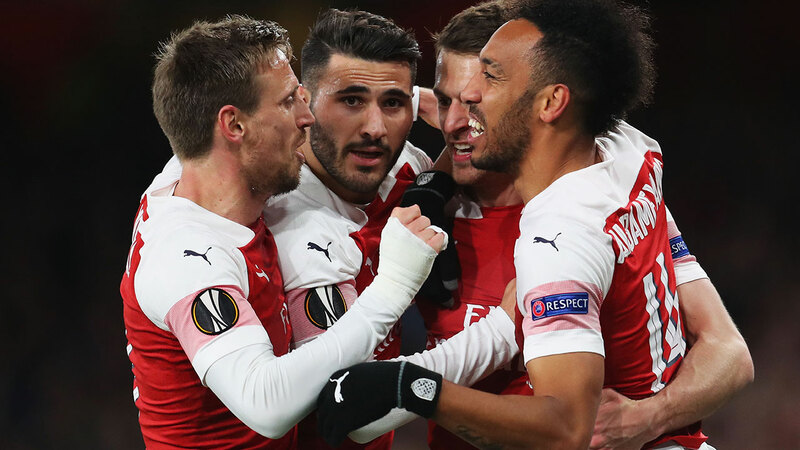 It was completely different to their midweek match in the Europa League where they comfortably beat Napoli 2-0 at the Emirates, goals from both Ramsey and Torreira, both of which who started the Thursday night quarter-final. It highlights such a difference in form; they've won 10 in a row at home, yet have only one win in nine on the road. Something they need to fix as soon as possible if they have any chance of finishing in the top four. They'll be without Sokratis Papastathopoulos after he picked up his 10th yellow card of the season and is suspended for two games. Xhaka is still a doubt and faces a late fitness test. Torreira is back in domestic action now his ban has ended. Arsenal normally get the better of Watford, but the fixture has become more closely contested in recent years. One thing you won't find is a draw; none of the 11 previous Premier League meetings between these two sides have ended in a stalemate. The Hornets have only won one of the last five at home against the North London club but that win came most recently last season. Pair this most recent result with the Gunners' away form, the fact they're forced to play Shkodran Mustafi in defence with Sokratis' suspended and that the Hornets have won the last three games at home in a row, and you'd think, Watford have a good chance at getting a result. Watford are [3.3] to win this match, with Arsenal at [2.3] and the draw at [3.75]. I think the hosts are at that price because of the so-called "hangover" they might have after winning a cup semi-final. But that was a week ago. They've had time to celebrate, rest, regroup etc. They could have one eye on the final but surely Javi Gracia's men will be focused on maintaining form as they have a chance to finish the best of the rest in seventh. The visitors have had an extra game, and will also be thinking about qualifying for the Europa League semis which their second leg away at Napoli will be 72 hours after this match, so I'm surprised the Match Odds are this far apart. This will be a close match, and I think [1.75] for the Home/Draw in the Double Chance market is more than likely to land. But I'll also have a small amount on Watford and Both Teams to Score at [4.7]. With the Betfair Sportsbook option you can use the Same Game Multi function to group up several bets in the match. I do believe that both teams will lack edge and mentality due to their cup competition successes and will be more susceptible to conceding goals. The Watford-Draw Double Chance, Both Teams to Score and Over 2.5 Goals at [3.24] is a good bet.